Description: Fresh is a concentrated and highly nutritional facial cleanser that has been specifically formulated to clean the skin without leaving it dried or damaged. The variety of organic ingredients used in this decadent blend, offer optimal healing, toning and cleansing benefits. Fresh effectively removes dirt, oils and make-up that can irritate the skin and lead to break-outs and has great nourishing properties. Description: Pure is a gentle cleanser that has been specifically designed to effectively clean the skin without leaving it feeling dried or damaged. The various extracts and minerals found in this amazing blend help to remove, not only dirt and oils that can irritate the skin and lead to break-outs, but also works great in removing make-up. Description: This rich hydrating serum was designed specifically for those with dry skin, that may also be damaged or aging. The wide variety of organic extracts used in this formulation has many revitalizing properties that help to heal and rejuvenate skin cells and stimulate collagen production. The key ingredients used in this serum and its purpose are similar to those found in the Nourish serum, but the Neroli has been altered to provide heavier moisturizing capabilities for those who need a bit more nourishing. Ingredients: Rosehip Seed Oil*, Apricot Kernel Extract*, Jojoba Oil*, Hazelnut Oil*, Macadamia Nut Oil*, Kukui Extract*, Meadowfoam Seed Oil*, Neroli Extract*, Sweet Orange Extract*, Mandarin Extract*, Carrot Tissue Oil*, Jasmine Flower Extract*, Evening Primrose Oil*, Vitamin-E*, Allantoin, Zinc Oxide (Natural SPF & Non-Nano). 1. Always make sure the serums are shaken well before applying so that all of the key ingredients are present in each application. 2. 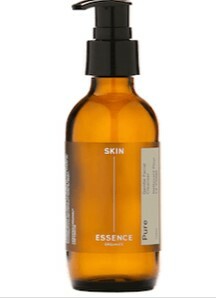 To ensure deep absorption of all the key ingredients, massage the serums into the skin for at least 10-20 seconds. *Tip – After cleansing your skin and before applying the serum, splash some cold water on your face. The cold water will help to close your skins pores and the moisture on the face will also allow the serum to spread easily and evenly. Water also has a natural capillary action, which will help to pull the vitamins and minerals into your skin, leaving a healthy glow!! Description: The nourishing extracts and minerals that have been carefully selected for this serum are very beneficial for combination skin types, that may also be damaged or aging. The abundant amount of Rosehip and Neroli used in this serum are phenomenal for stimulating and rejuvenating skin cells, while also nourishing the skins vital capillaries. Since this serum contains a rich amount of vitamin C, it is effective in stimulating collagen production in the dermis, thus improving the skin’s elasticity. The wide variety of nutrients found in this serum, naturally tone the skin helping it achieve a youthful, fresh glow. Ingredients: Rosehip Seed Oil*, Jojoba Oil*, Apricot Kernel Extract*, Macadamia Nut Oil*,Hazelnut Oil*, Carrot Tissue Oil*, Sweet Orange Extract*, Mandarin Extract*, Kukui Oil*, Neroli Extract*, Meadowfoam Seed Oil*, Vitamin-E*, Jasmine Flower Extract*, Evening Primrose Oil*, Allantoin, Zinc Oxide (Natural SPF & Non- Nano). 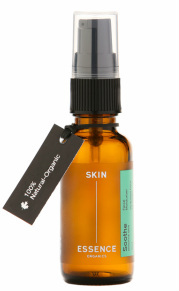 Description: This serum is a nutrient-enriched, moisturizing blend of organic extracts, minerals and essential oils. 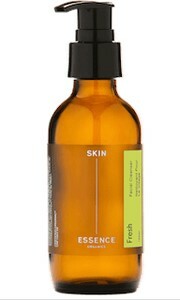 Soothe is an excellent hydrating serum for all skin types, especially sensitive skin. 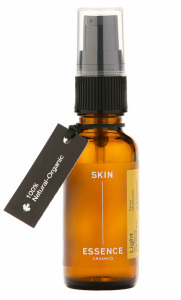 The abundant rosehip included in this blend promotes skin cell renewal, a process that slows as we age, keeping the skin youthful and vibrant. 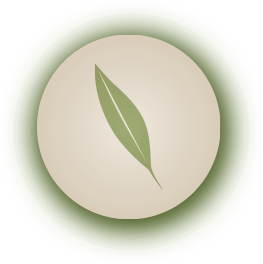 Other key ingredients, such as; galbanum and sage possess brilliant healing and soothing properties. Ingredients: Rosehip Seed Oil*, Borage Seed Extract*, Hazelnut Oil*, Macadamia Nut Oil*, Carrot Tissue Oil*, Galbanum Extract*, Vitamin-E*, Calendula Flower Extract*, Meadowfoam Seed Oil*, Allantoin, Sage*. Description: The unique extracts, essential oils and minerals chosen for this serum have not only a high nutritional value, but are also very light and fast absorbing. Many of the key ingredients contain natural anti-bacterial properties, which help to keep pores clean and clear preventing break-outs. Ingredients: Jojoba Oil*, Kukui Oil*, Sweet Orange Extract*, Eucalyptus Extract*, Lavender Flower Extract*, Galbanium Extract*, Lime Oil*, Geranium Flower Extract*, Lemongrass Extract*, Vitamin-E*,Tea Tree Oil*, Allantoin.